Pair of Antique Louis XV style French Country nursing chairs. Circa early 1900's. Oak with original rush seats. Hand carved shell motifs. 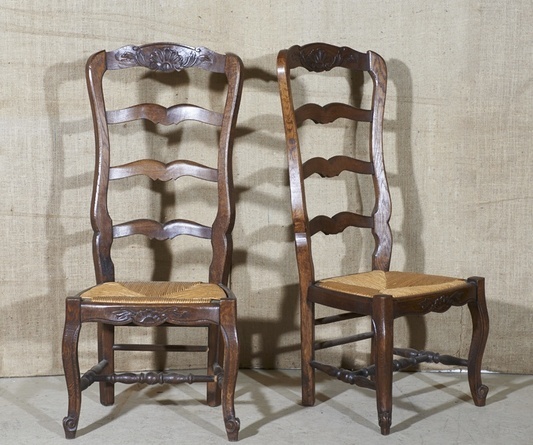 Low seated chairs like these were thought to be the best way to nurse French babies. Arles, France. back h - 40" seat h- 14.5"